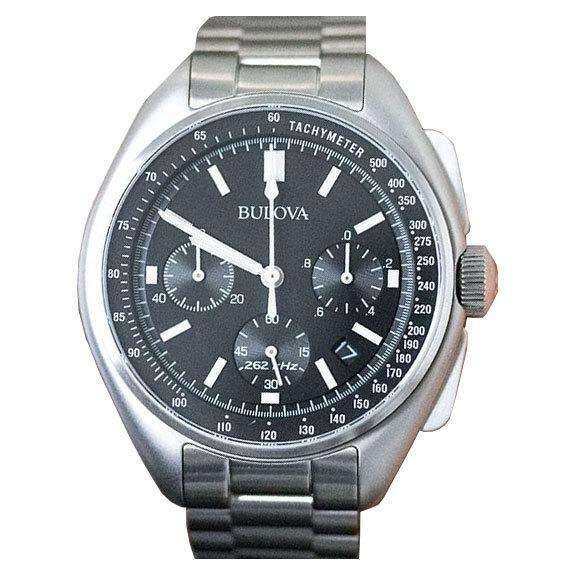 Bulova Mens Special Edition Moon Watch Stainless Steel 96B258. A tasteful and smart time piece has been created by Bulova in their 96B258 Classic. Refined black is the back drop on the analogue watch face. The dial face is complete with date function and a nifty tachymeter. A silver stainless steel strap complete with secure deployment clasp makes the 96B258 easy to wear. 50m water resistance and 3 years warranty give added peace of mind to this trendy wrist watch.